Hide deals from seller "Le Beaute"
Limit 1 per person. Valid on a multivitamin booster facial, eye treatment, and face, neck and shoulder massage. By appointment only. Promotional value expires 365 days after purchase. 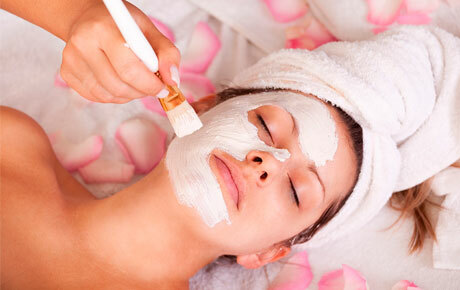 Refresh your complexion with 52% off spa services from Le Beaute in Palatine. This package includes a multivitamin booster facial as well as a soothing eye treatment and a face, neck and shoulder massage. Le Beaute is a full-service salon and spa that provides a relaxing getaway from the daily grind. The multivitamin facial clarifies, soothes and hydrates the skin with multivitamin boosters. A licensed aesthetician will also provide professional exfoliation and a facial massage for a more youthful glow. You'll also enjoy a soothing eye mask treatment and hydrating moisturizer along with a neck and shoulder massage. Le Beaute offers other beauty services such as no-chip manicures, haircuts and waxing. They also provide complimentary consultations to help you decide the best beautifying treatments for you. A beauty-focused and fashion-forward salon serving men and women in the Chicago suburbs.